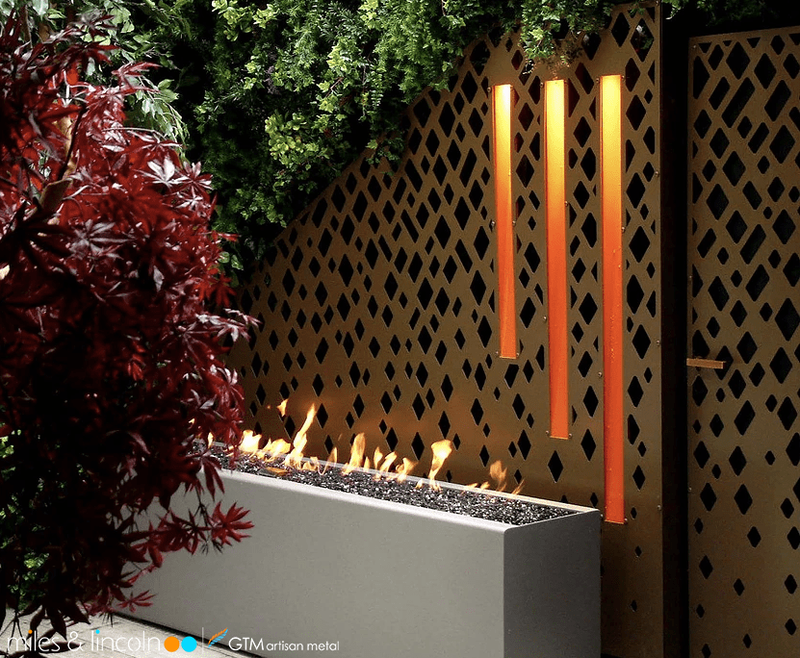 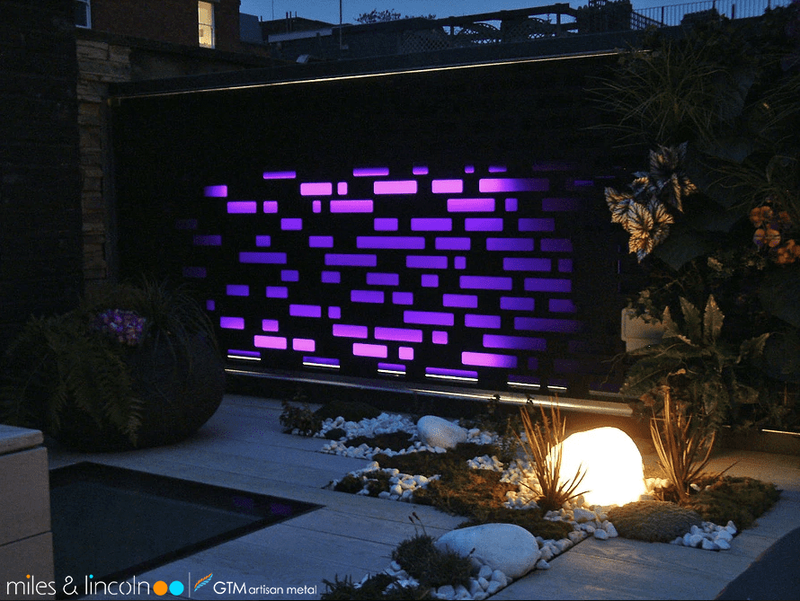 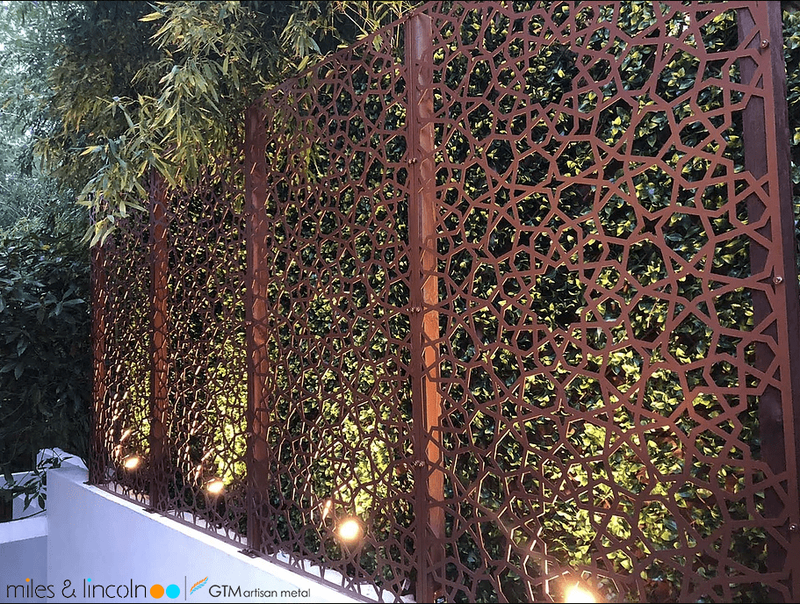 Installation using standoff spacers in conjunction with LED lighting can provide a visually appealing solution to plain walls and fencing. 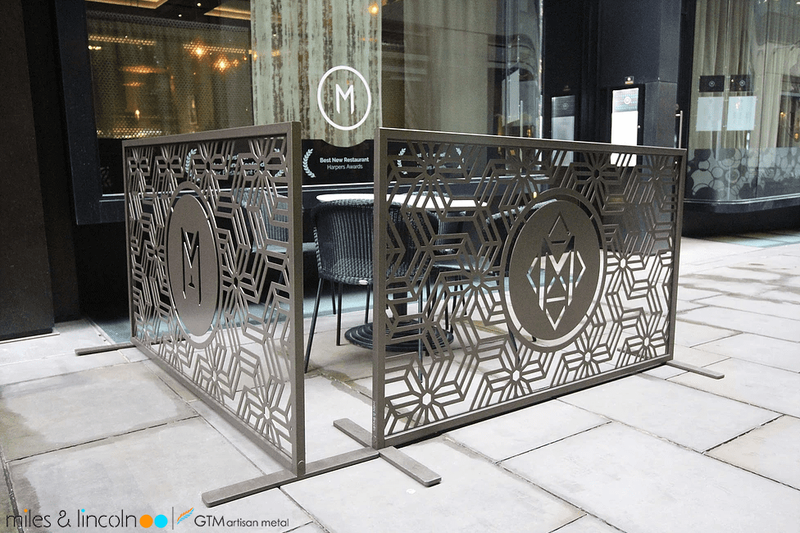 Dividing screens are fixed in position with easily available wooden or metal supporting posts providing separation and privacy areas. 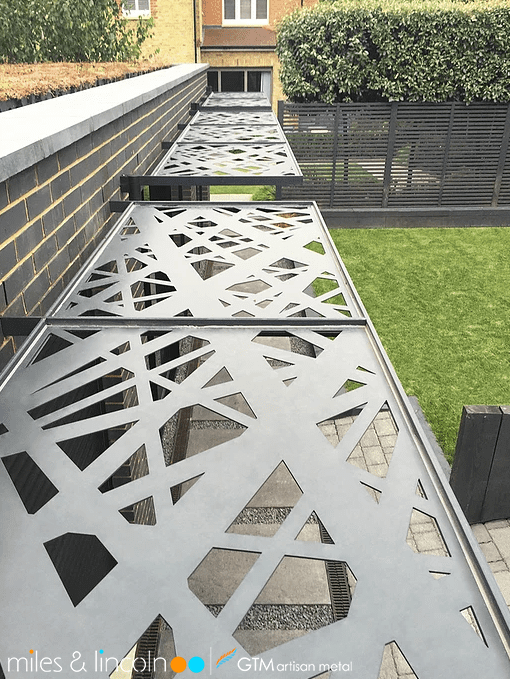 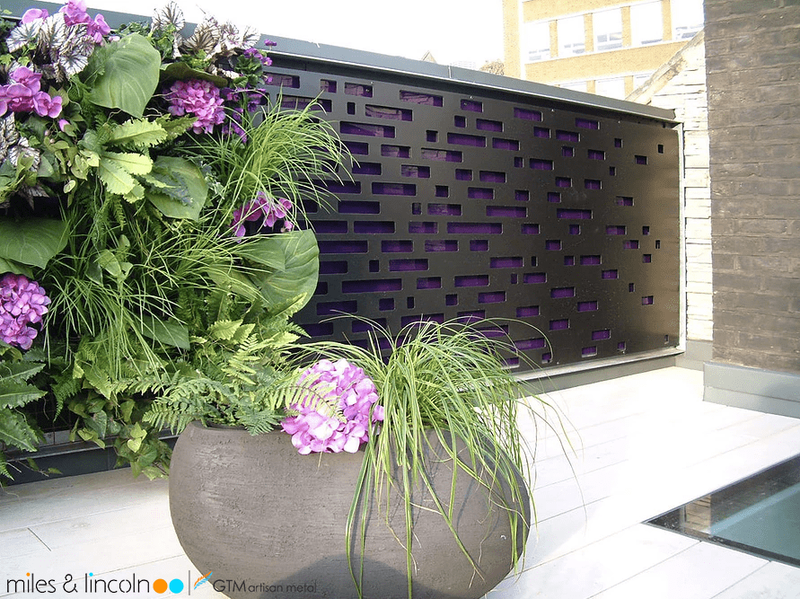 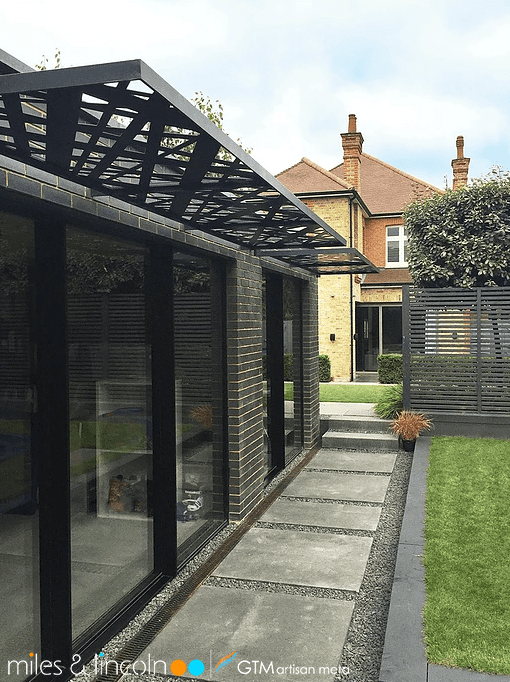 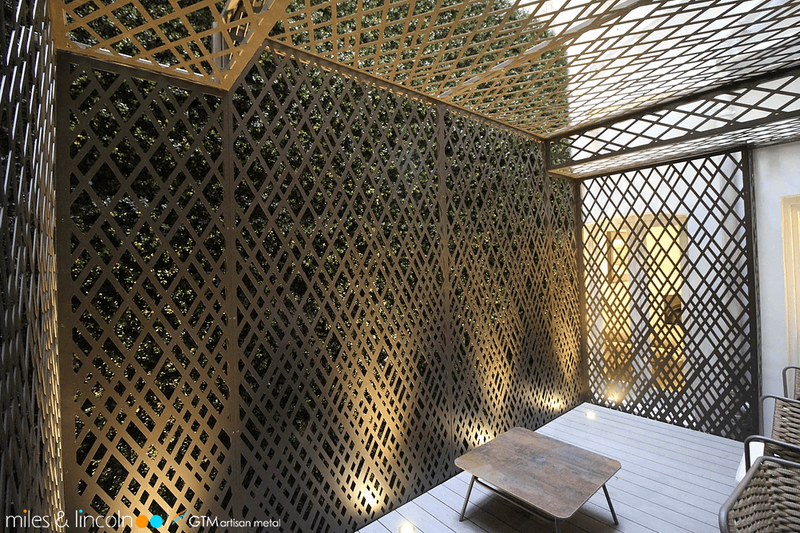 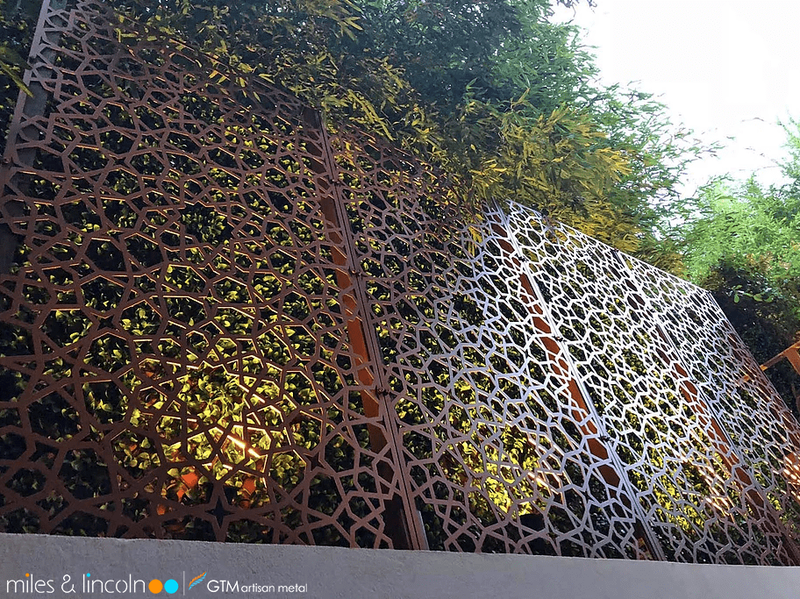 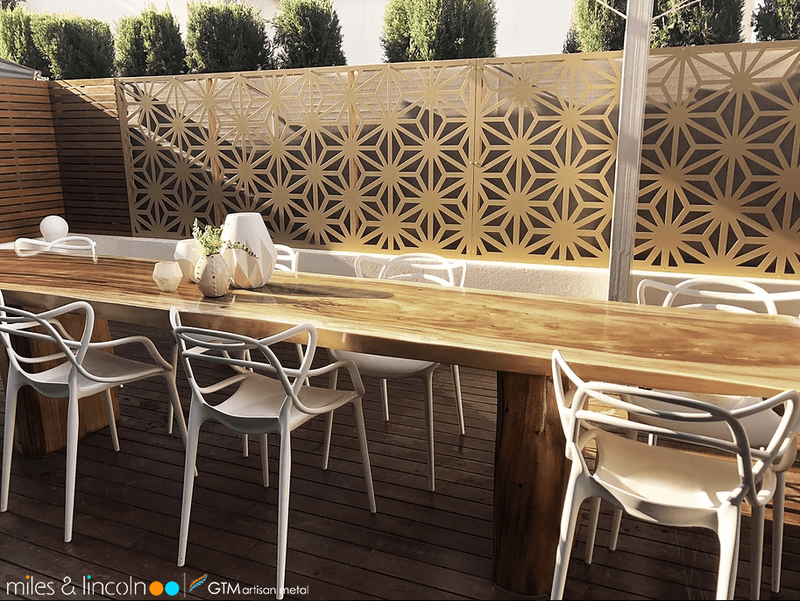 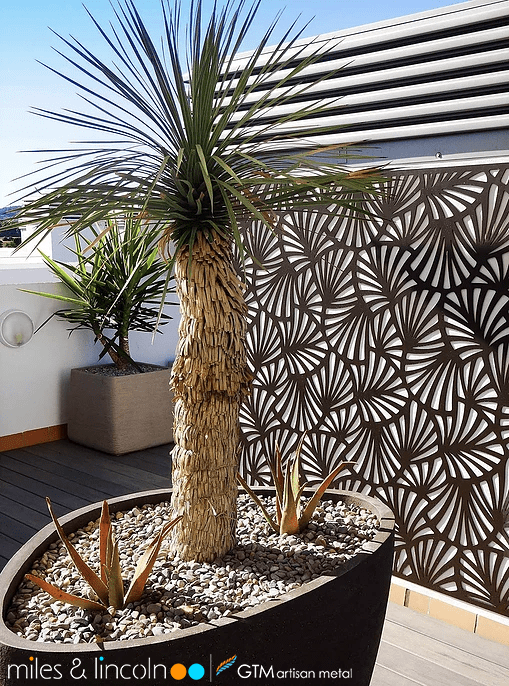 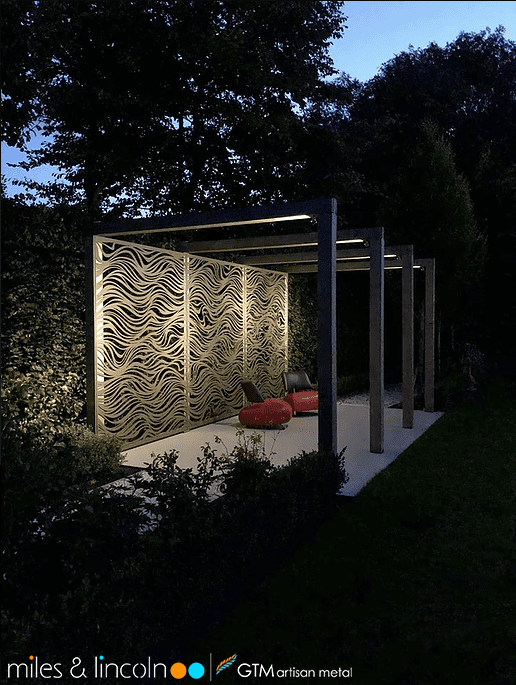 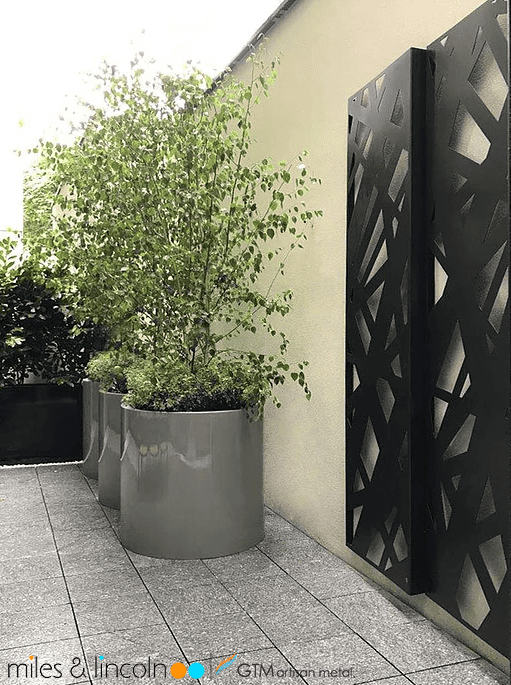 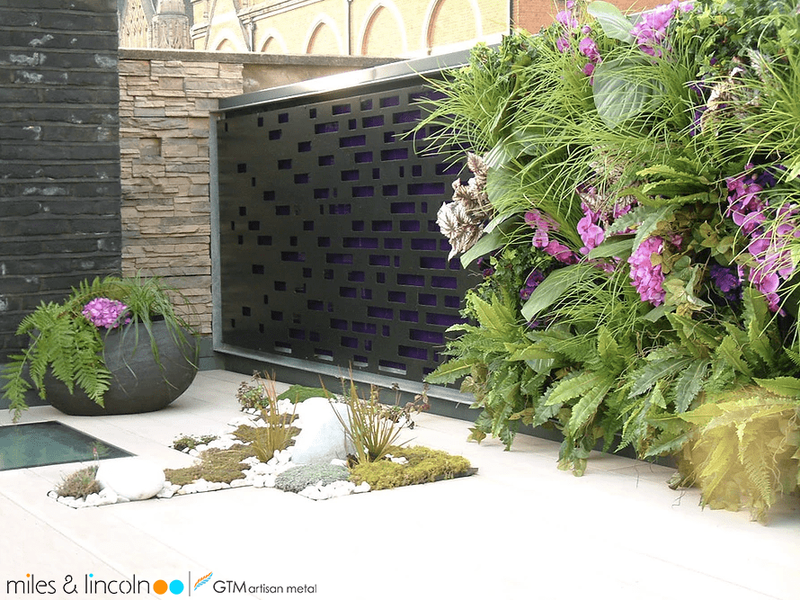 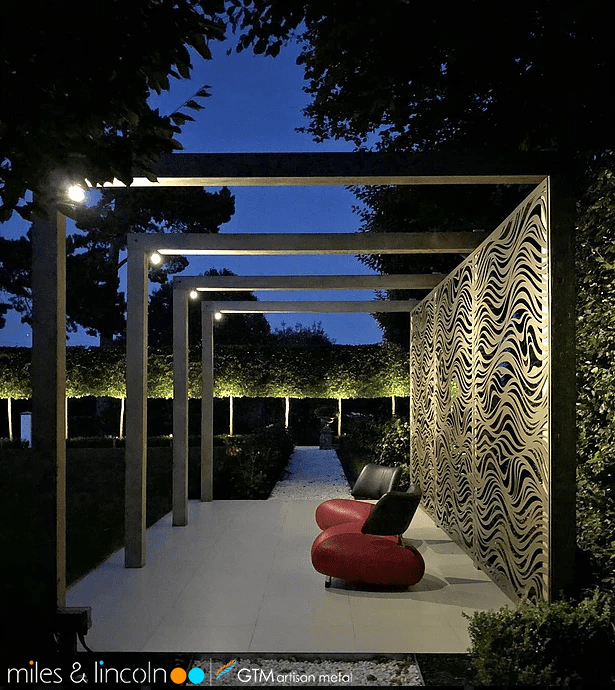 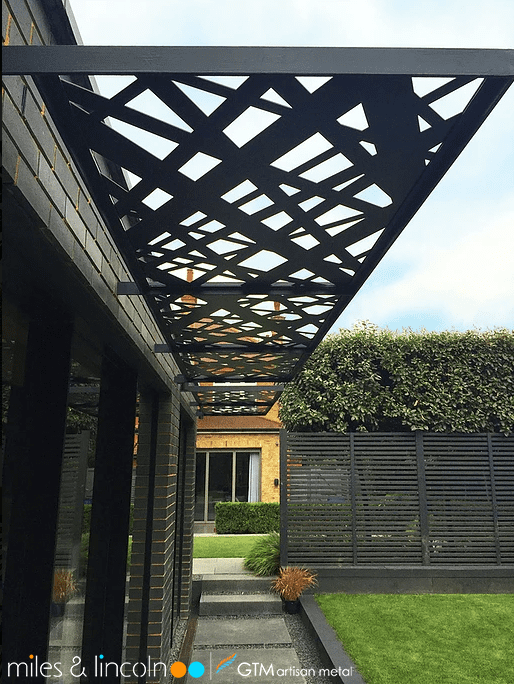 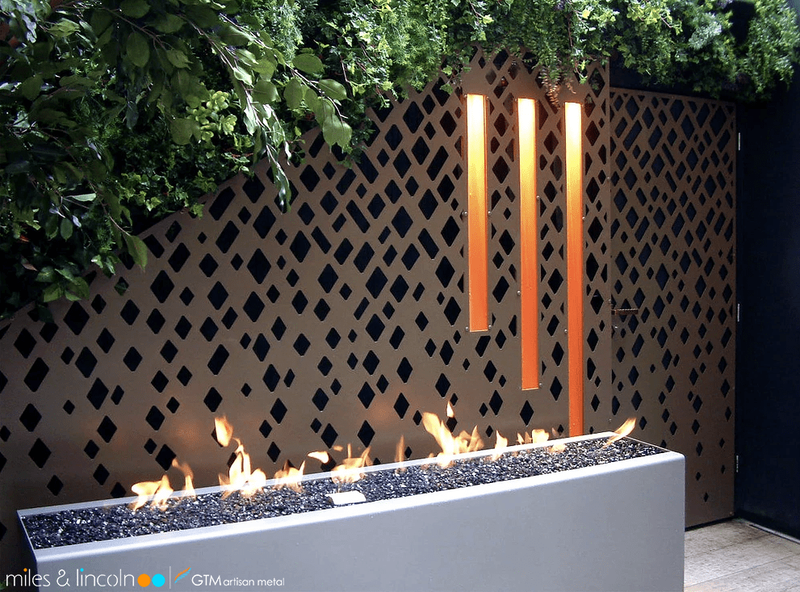 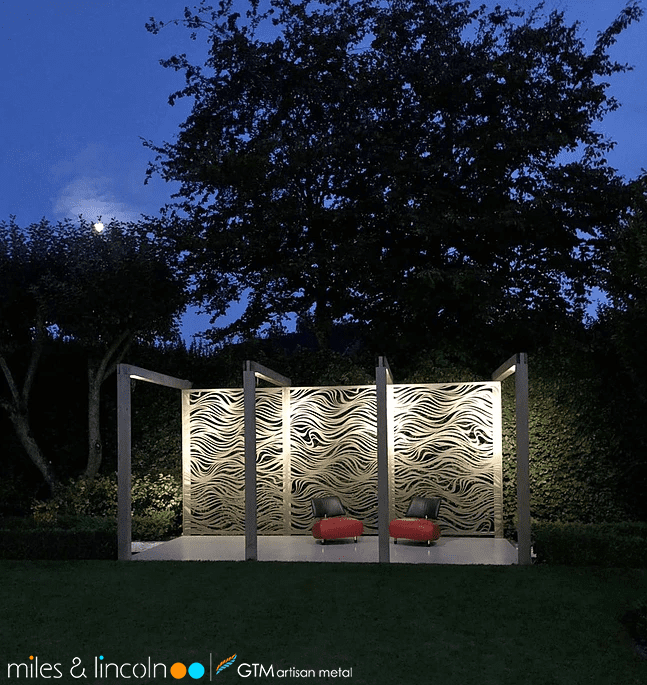 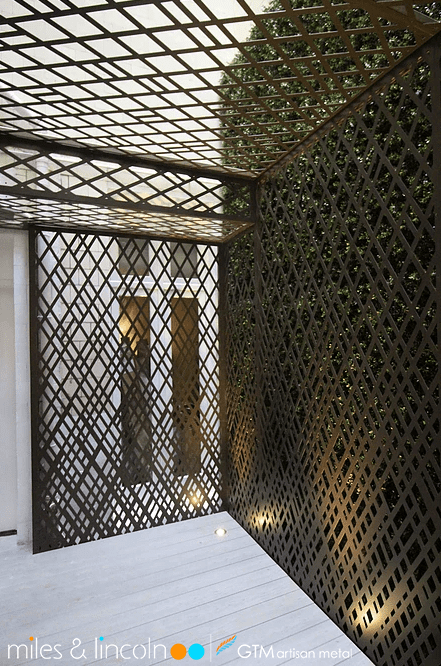 Pergola laser cut roof panels supply shade and an innovative architectural landscape feature. 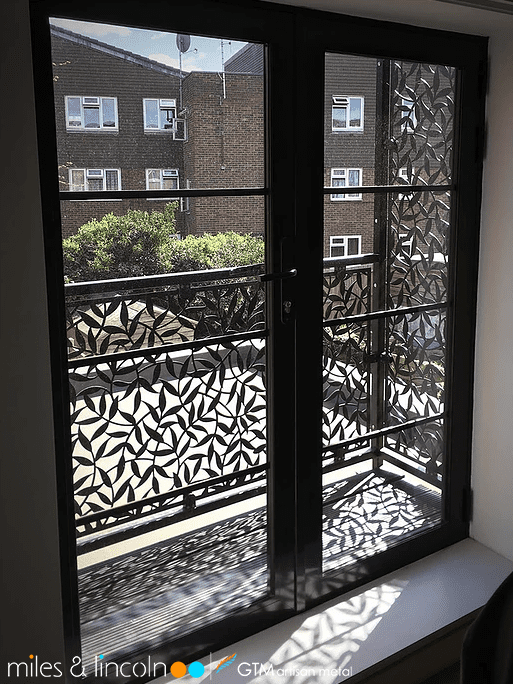 Laser cut Screens - Crosshatch Design. 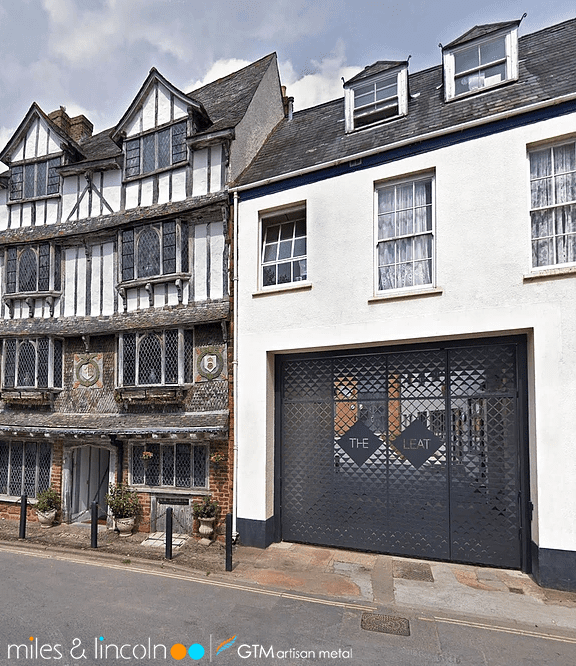 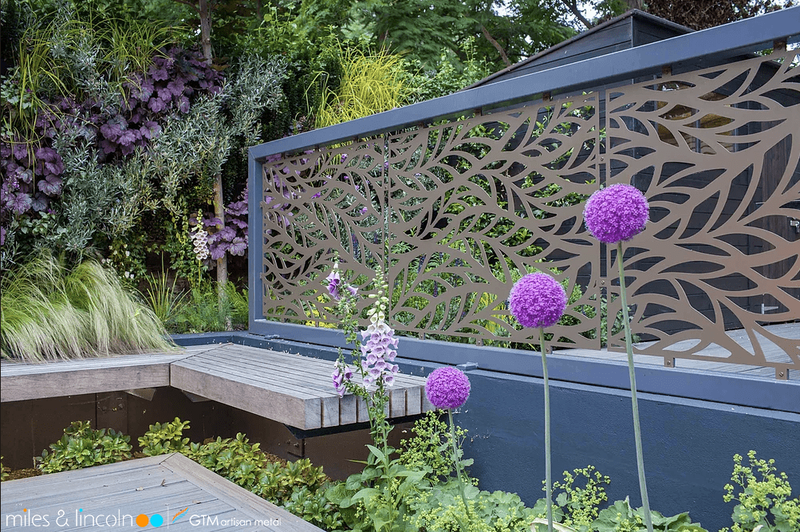 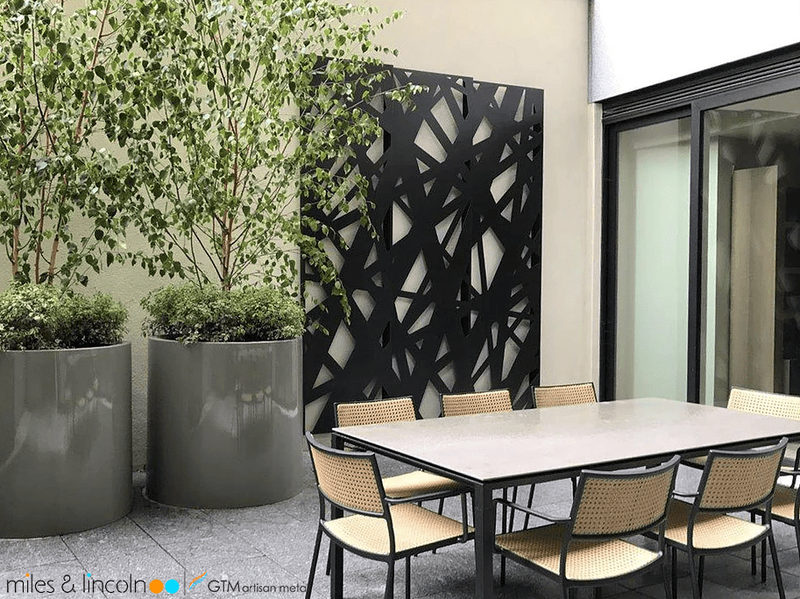 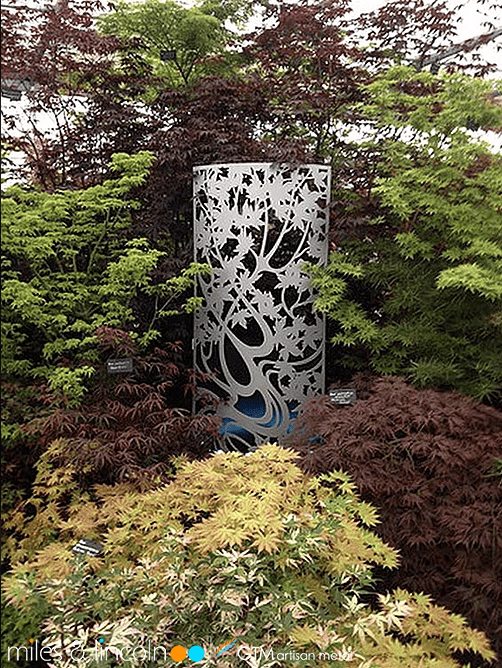 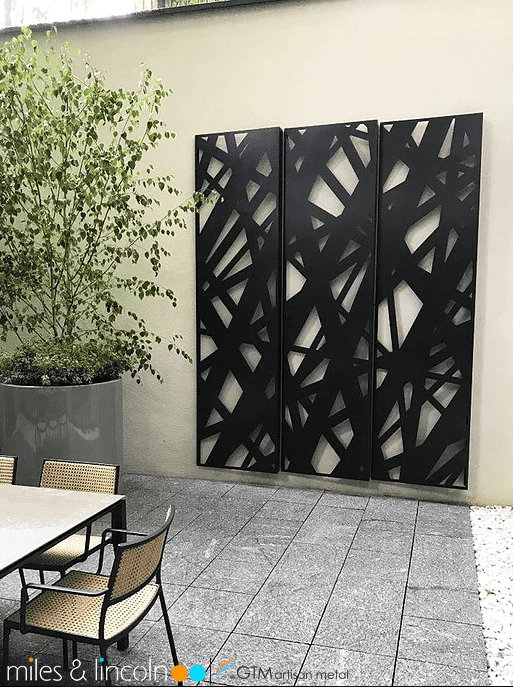 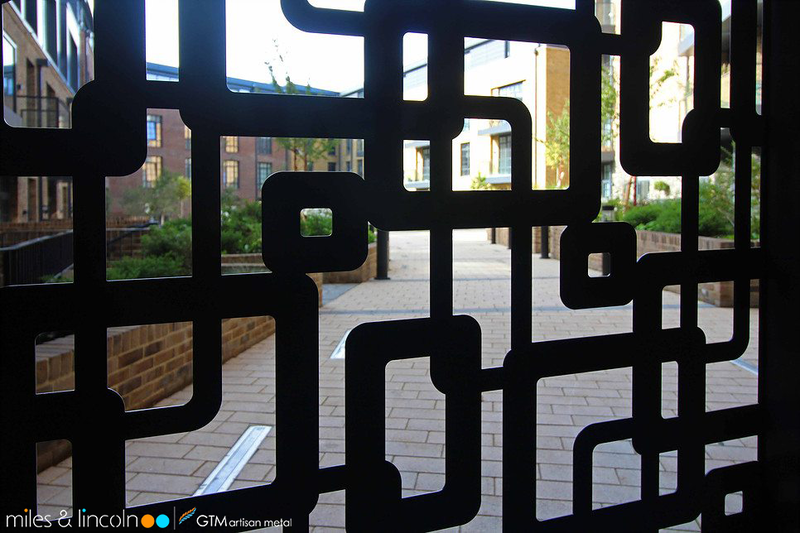 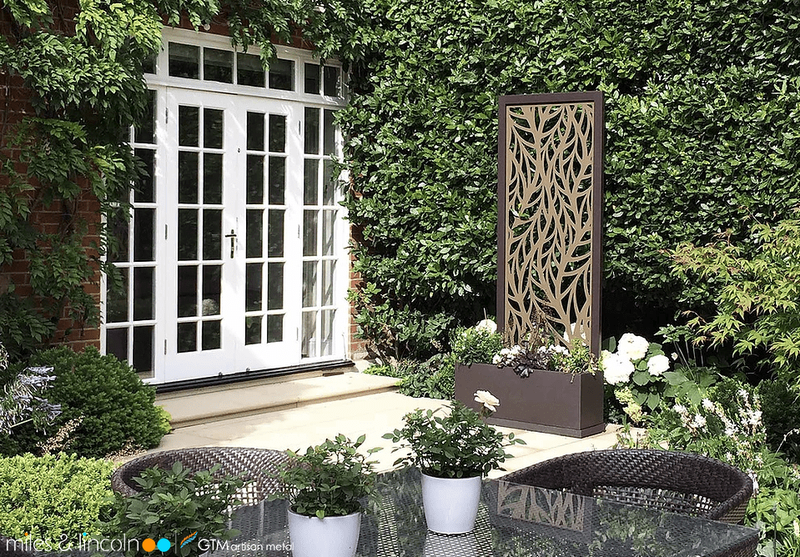 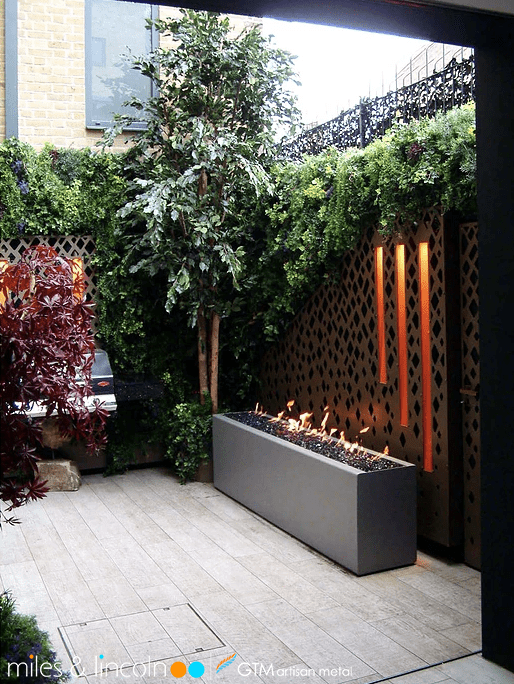 Courtyard garden screens - London. 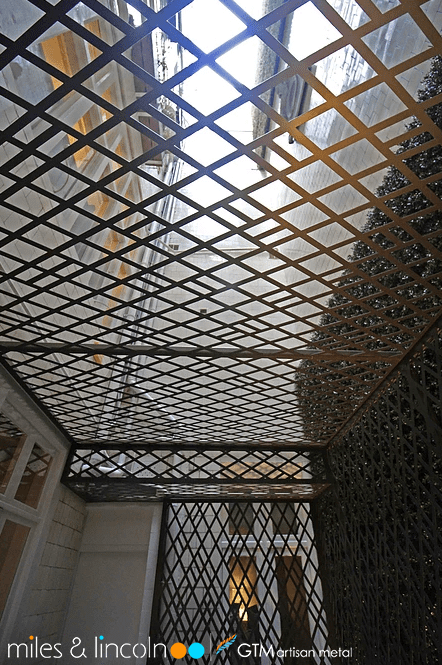 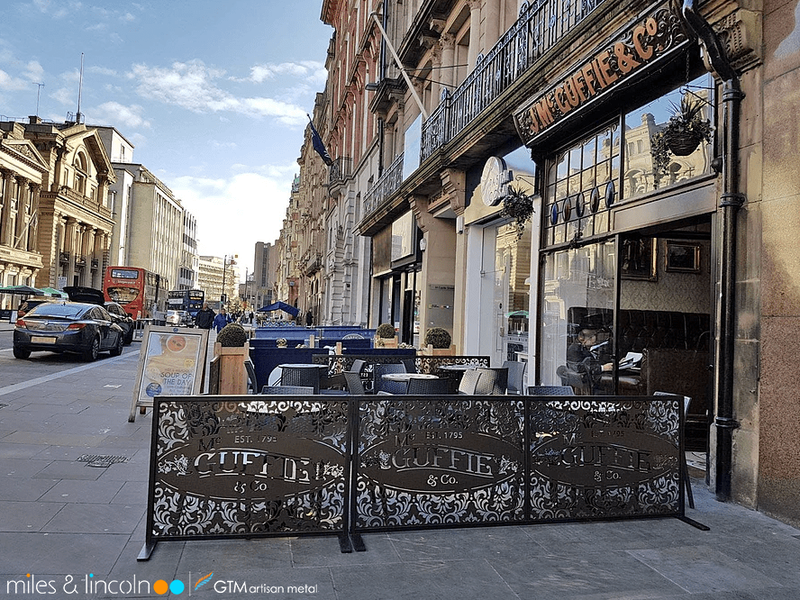 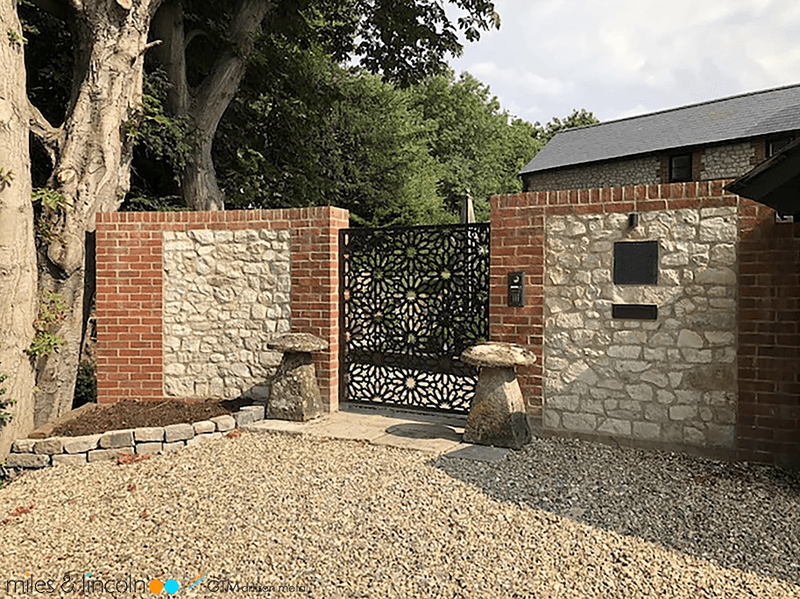 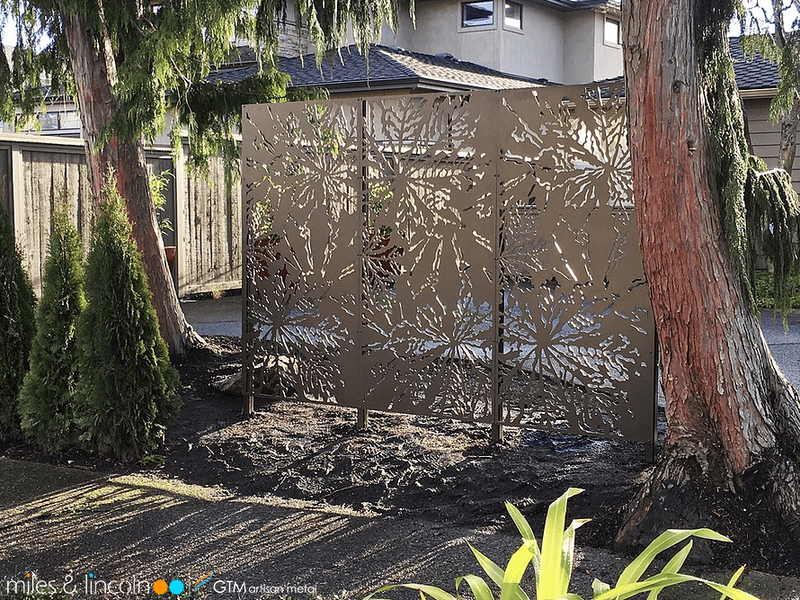 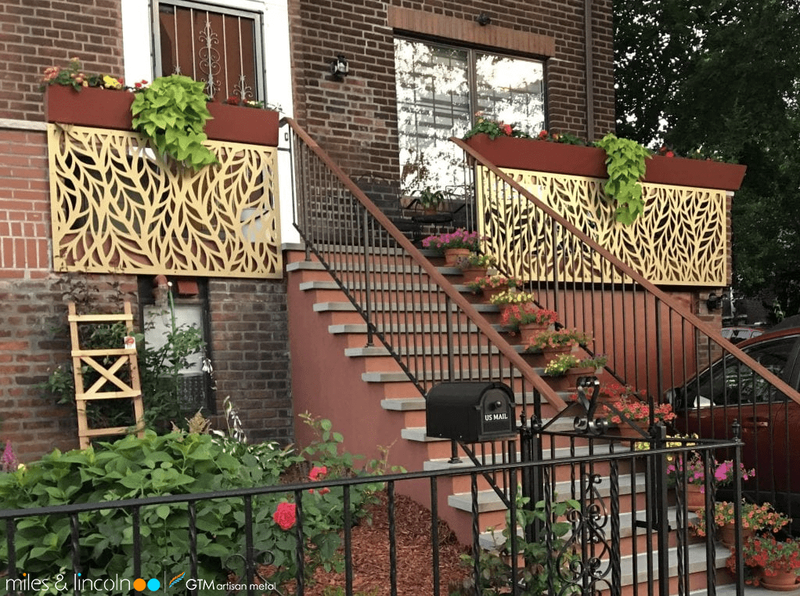 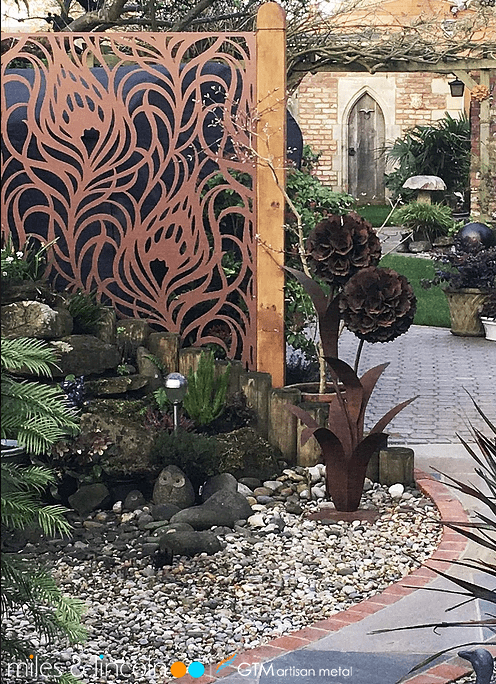 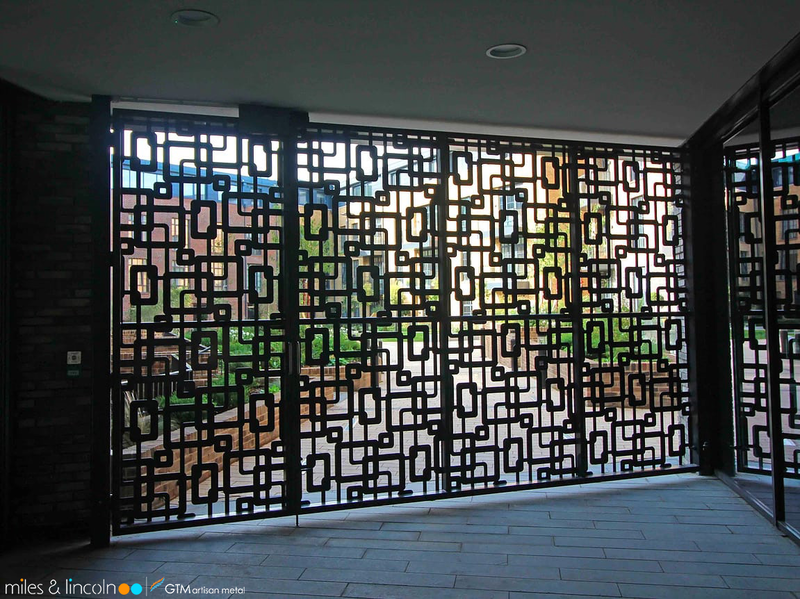 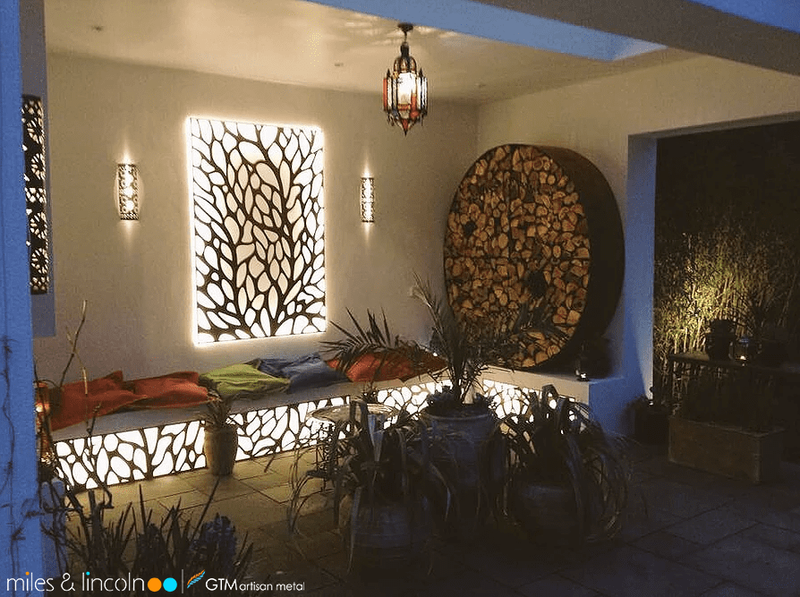 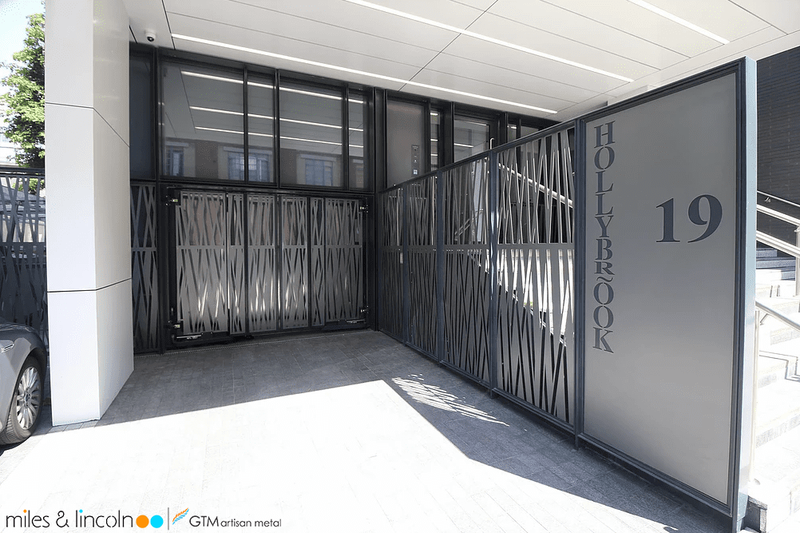 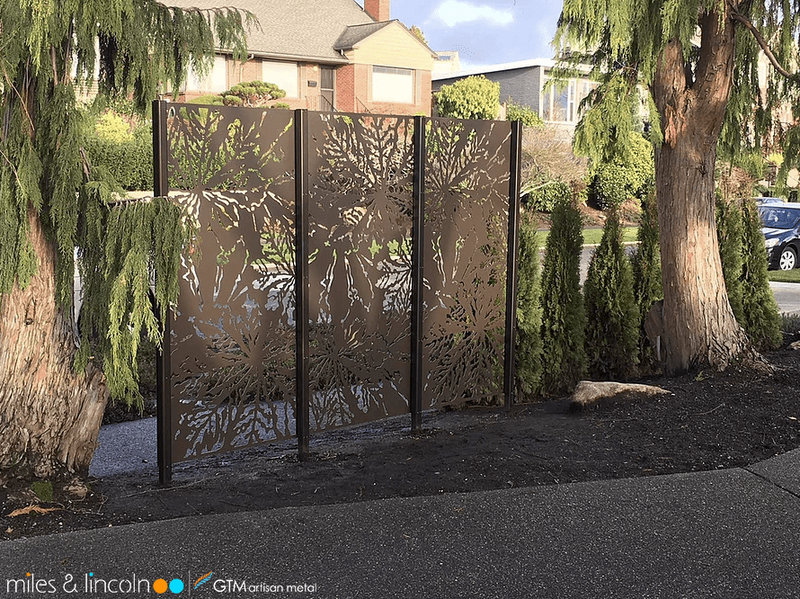 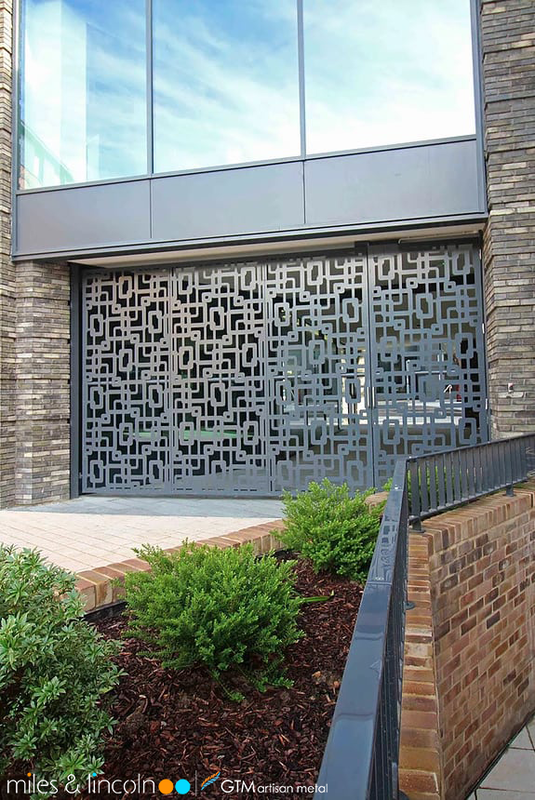 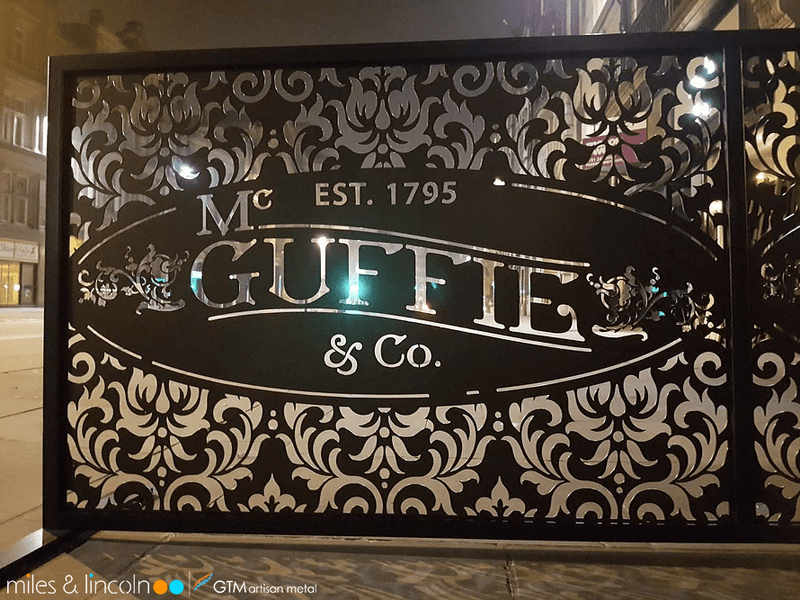 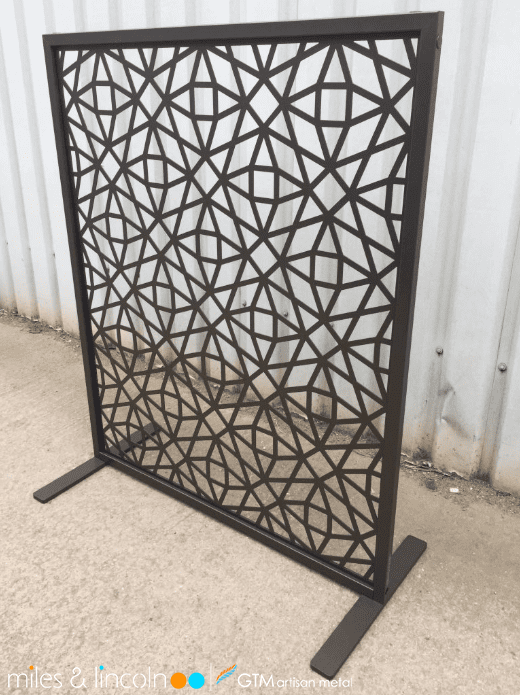 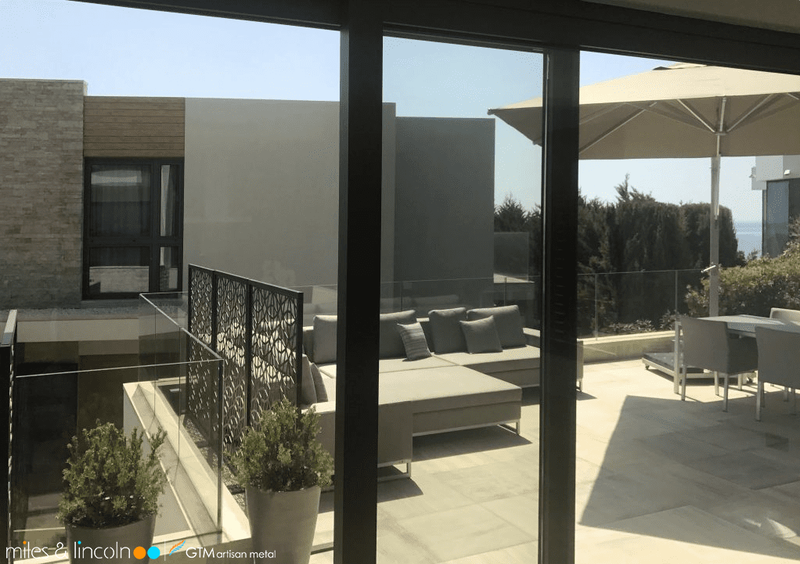 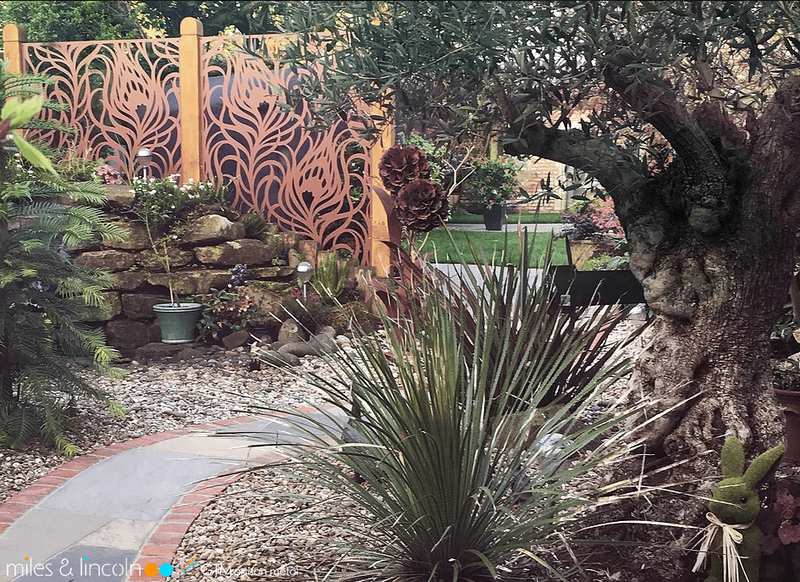 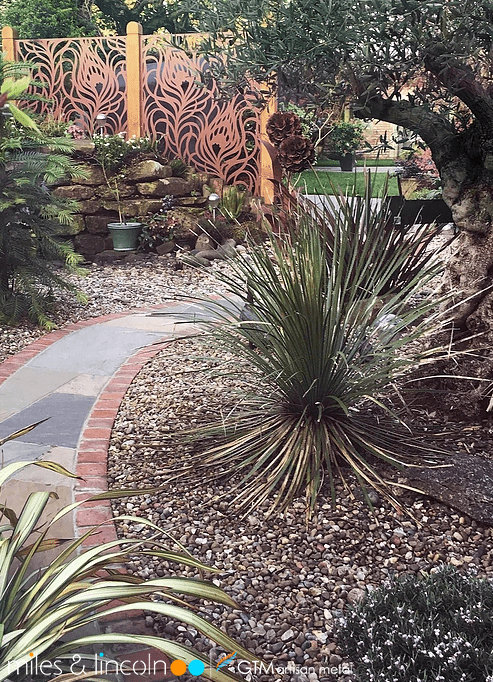 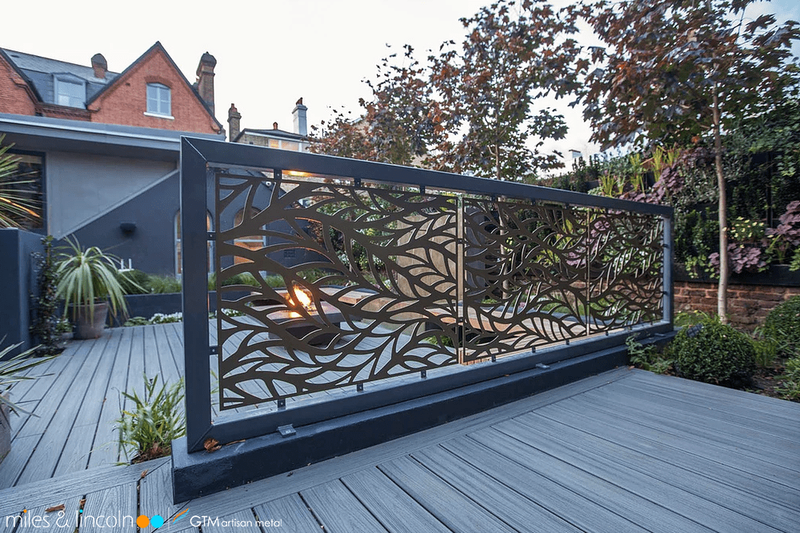 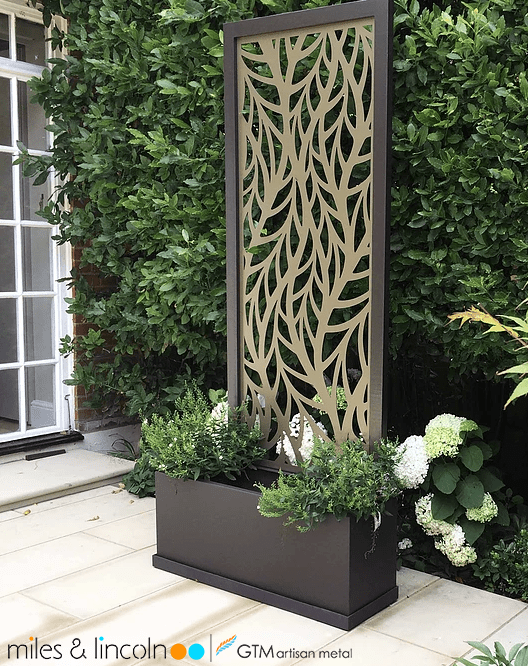 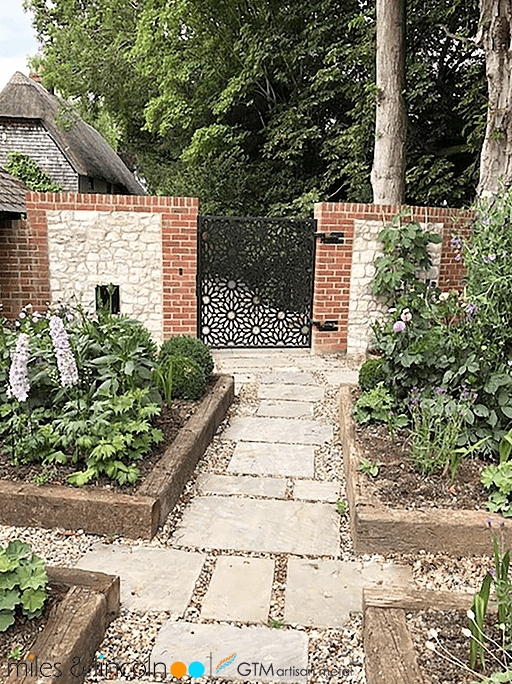 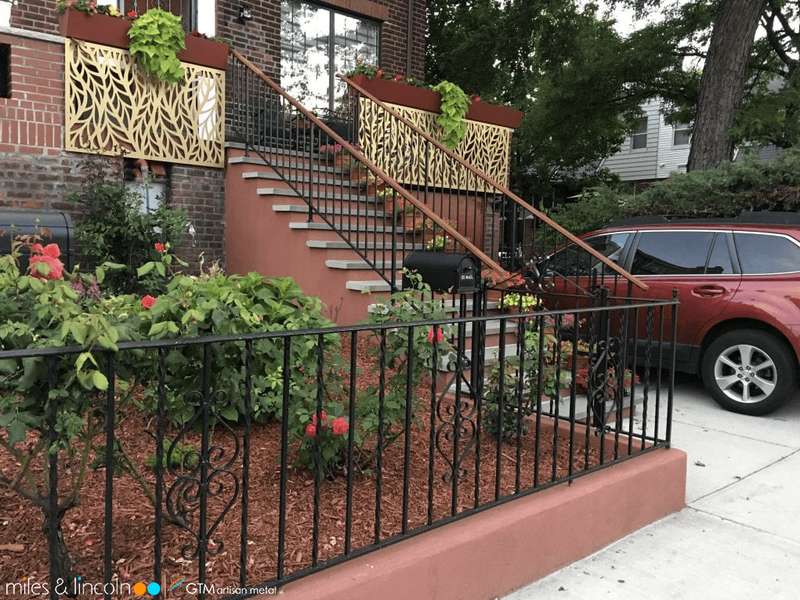 Laser cut gate – Private client. 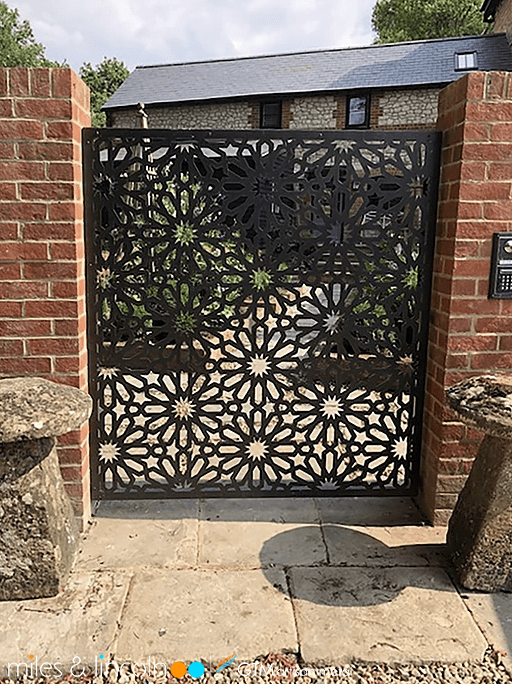 Laser cut gates with logo. 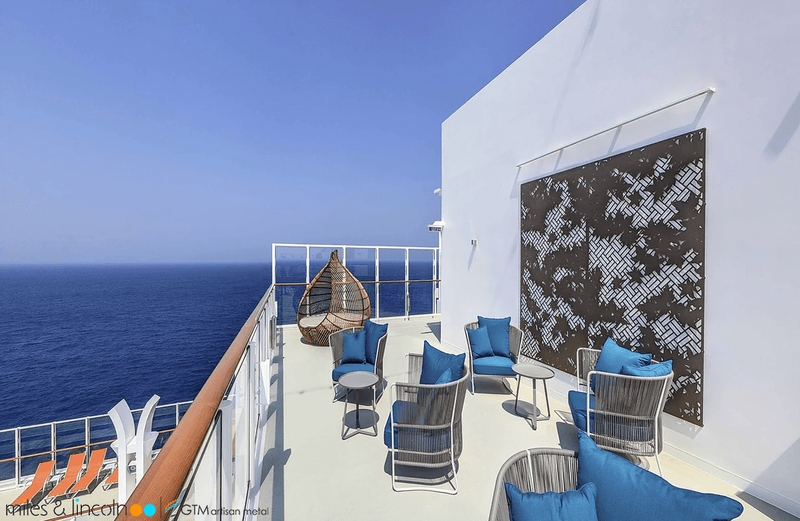 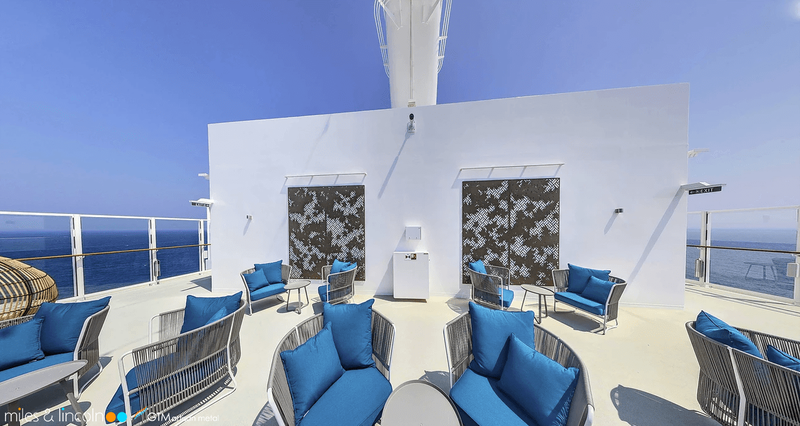 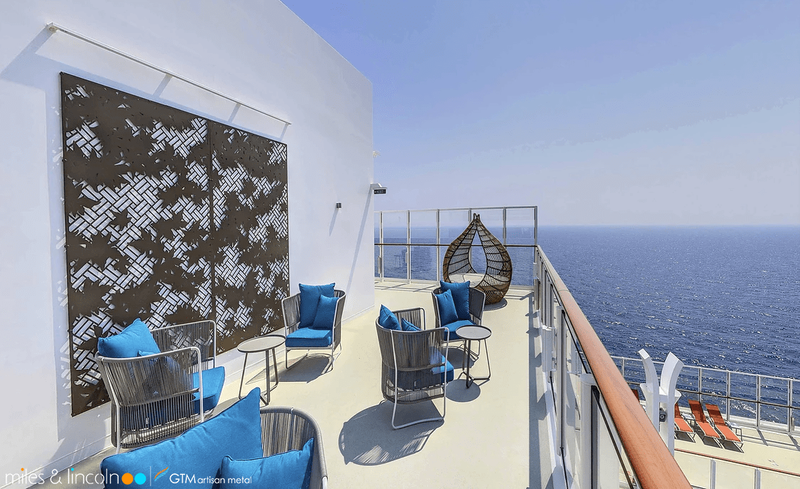 Dream Cruises - Viewing deck. 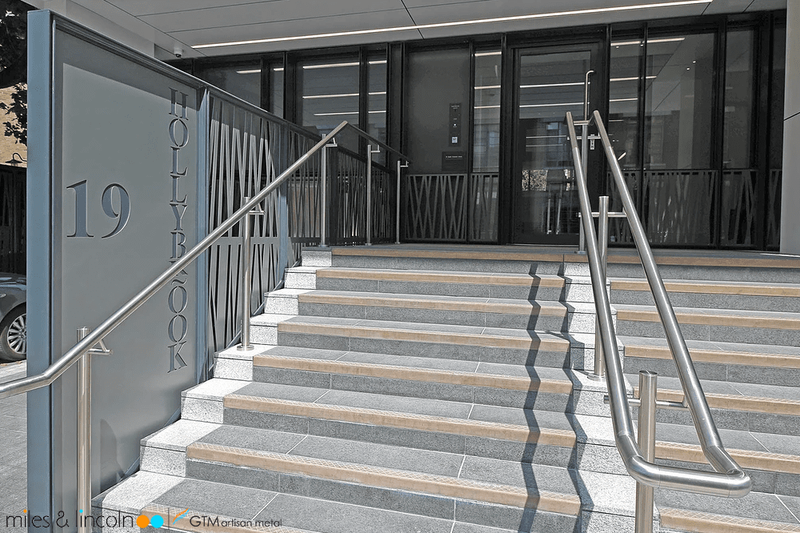 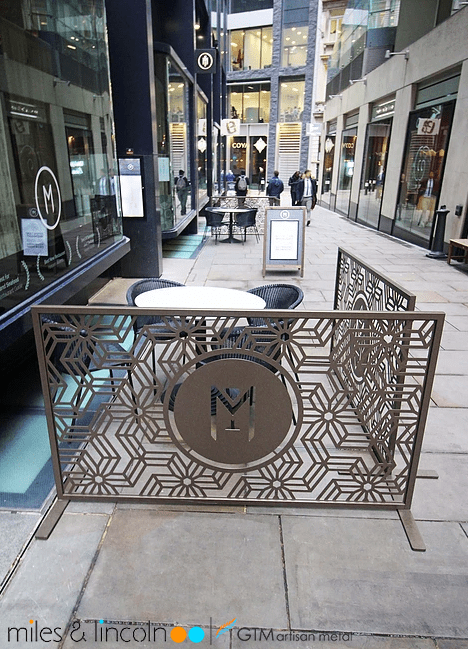 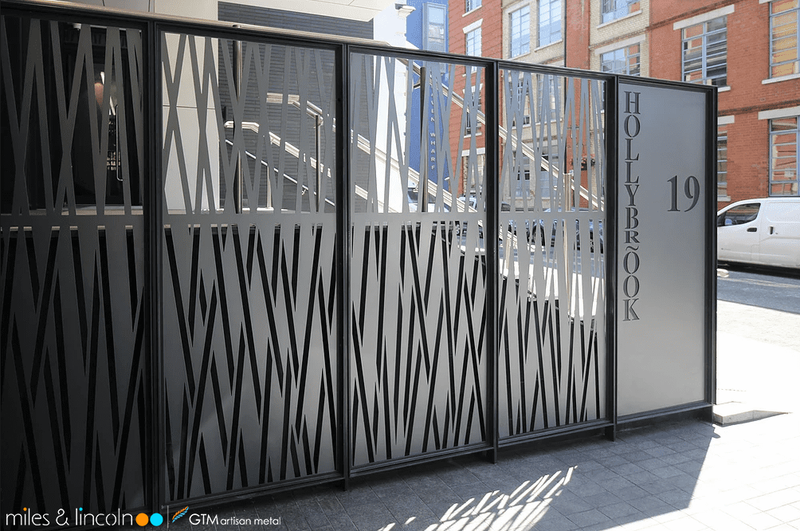 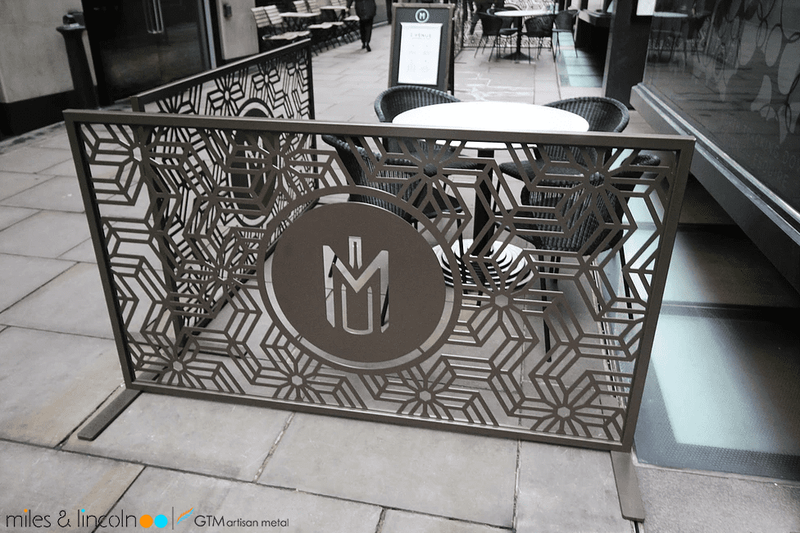 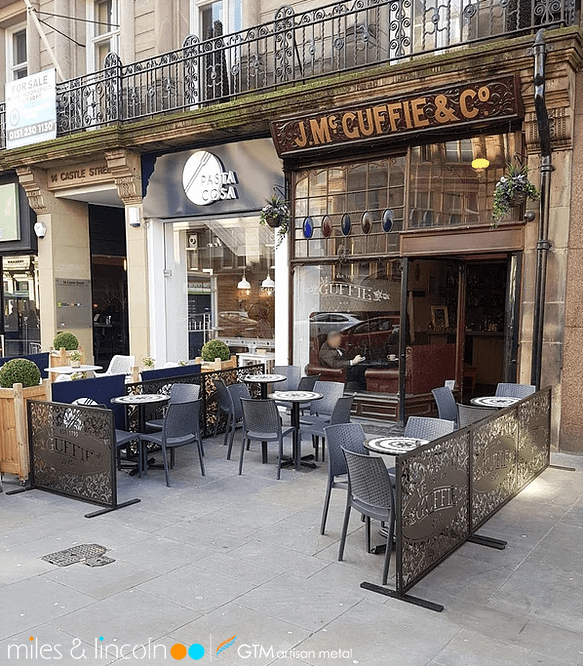 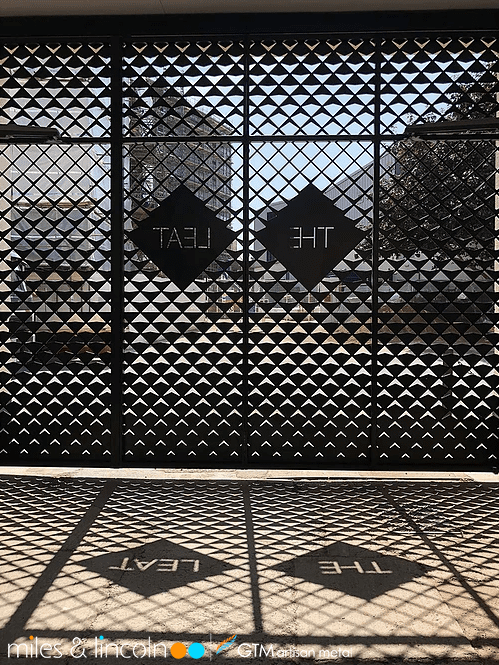 Laser cut screens, doors, balustrade and signage.